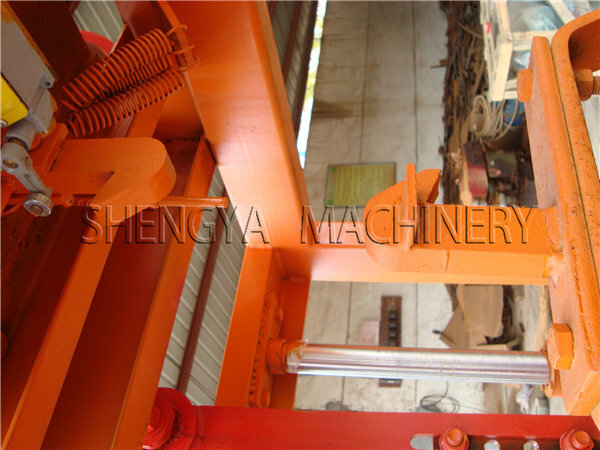 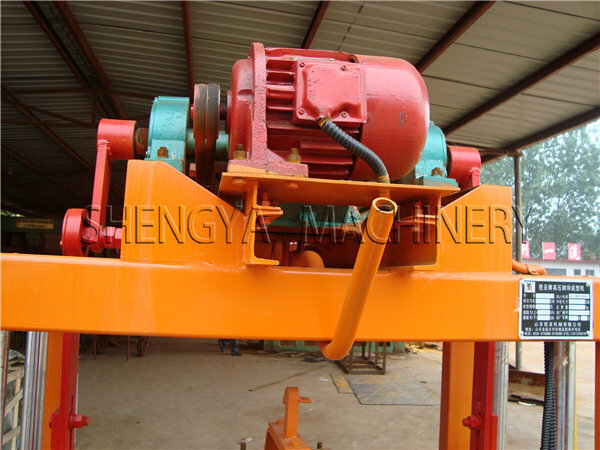 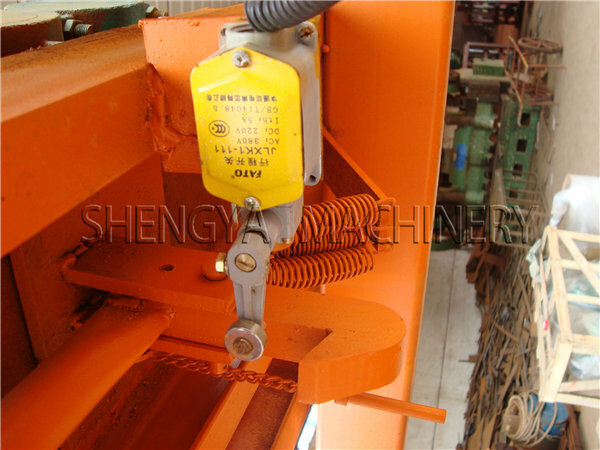 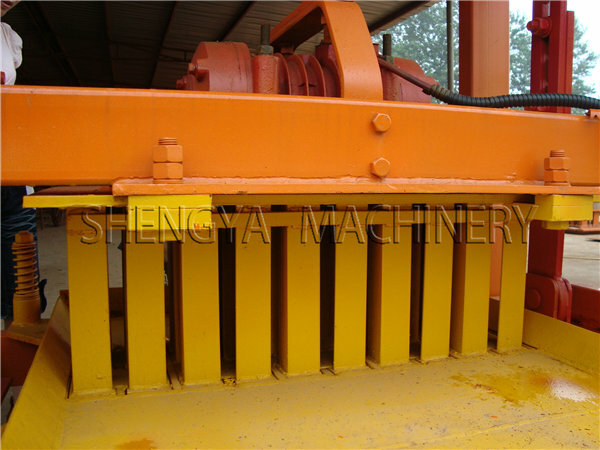 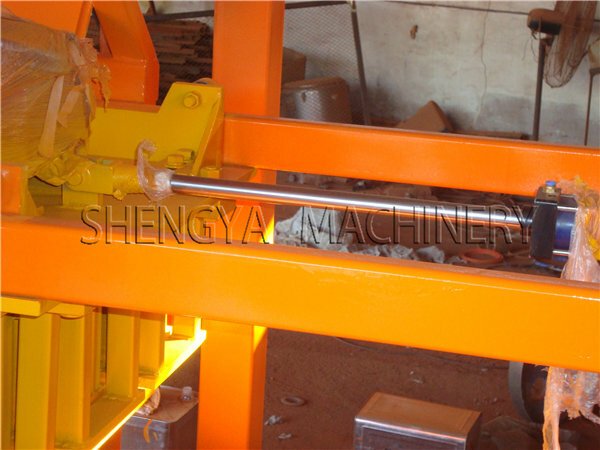 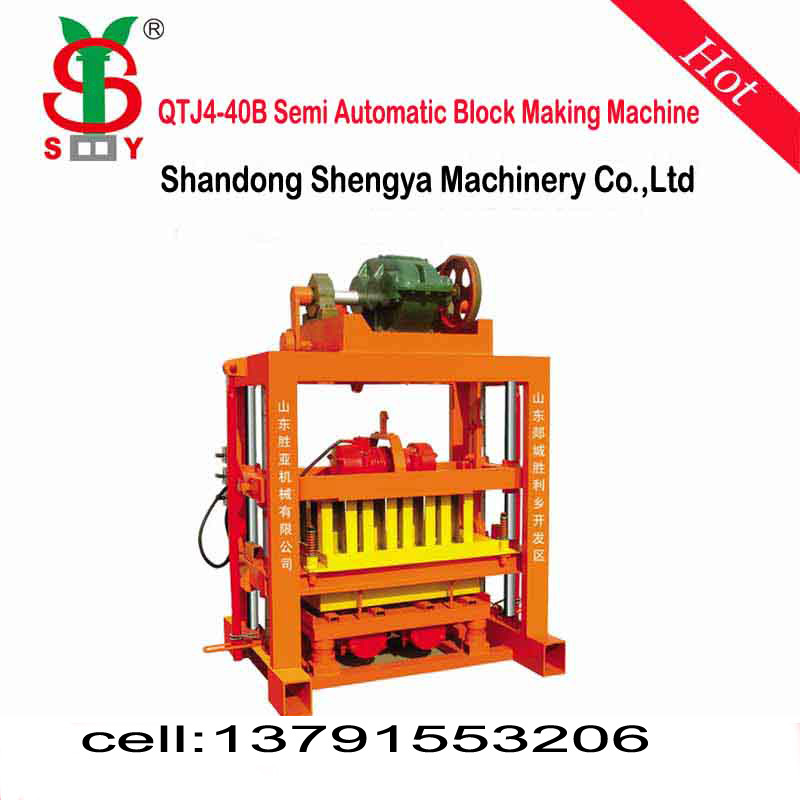 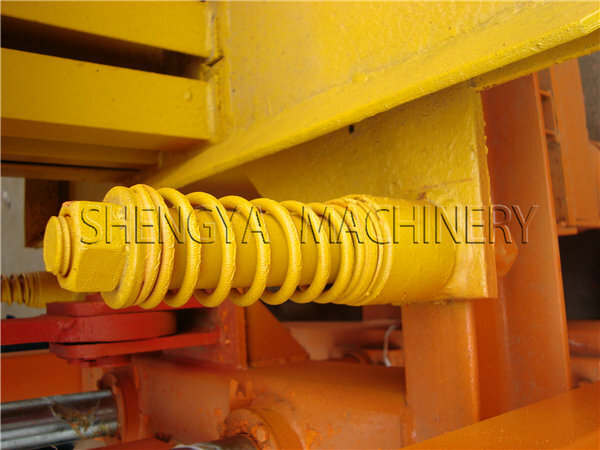 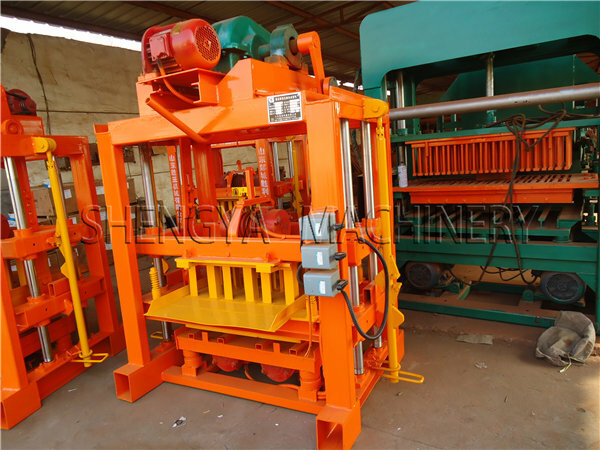 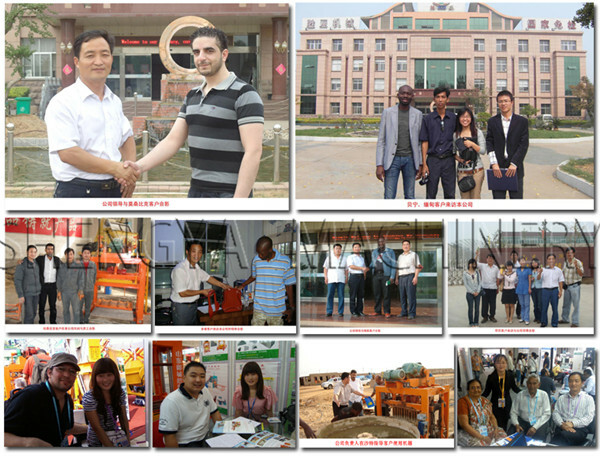 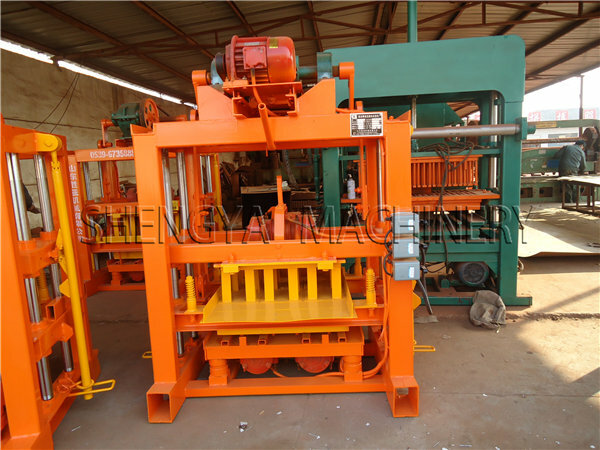 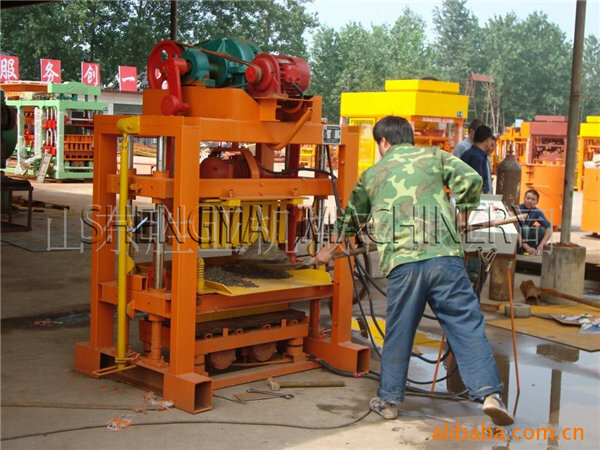 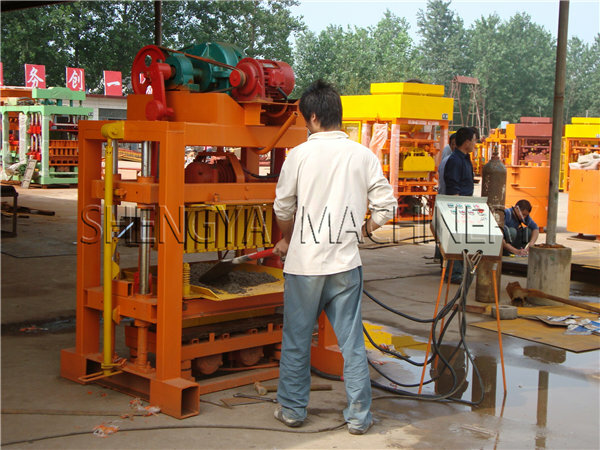 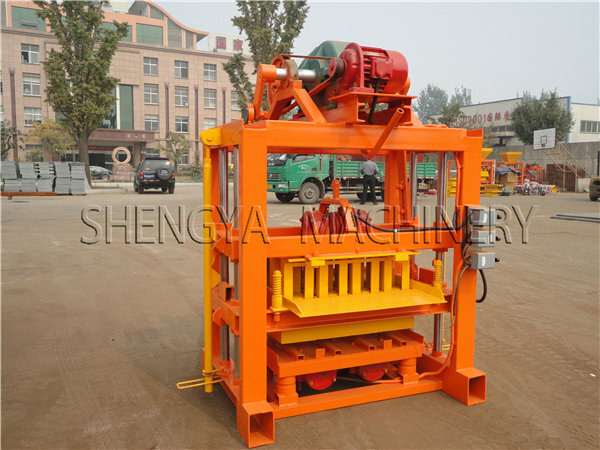 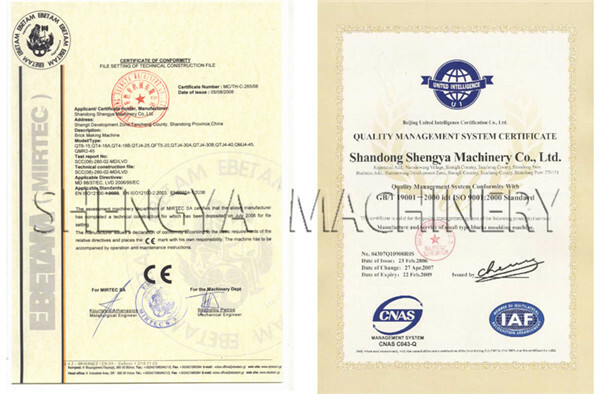 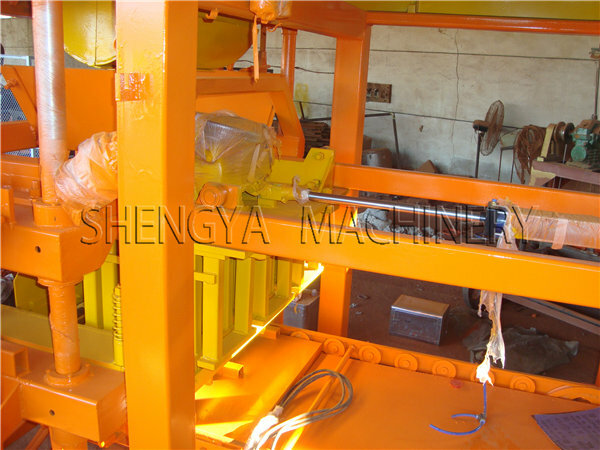 QTJ4-40 brick machine ,interlocking brick machine use the mechanical transmission, there are manual mixture into the island-me-forming. 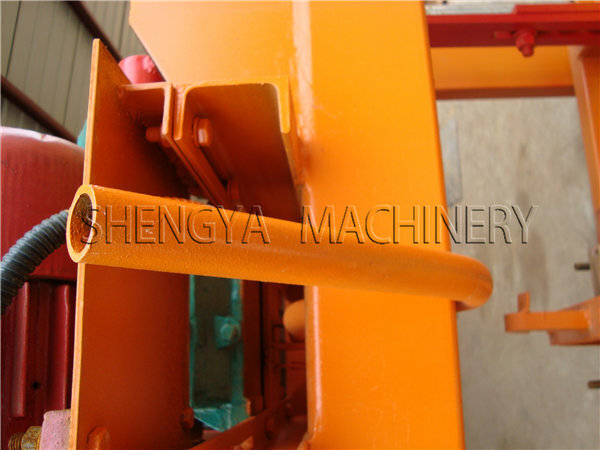 Their products look beautiful, clear edges and corners, the weight of products error of ± 3%, strength of it up to 10.5 ((MPa), error of it is10 percent,its geometry is<± 1.5. 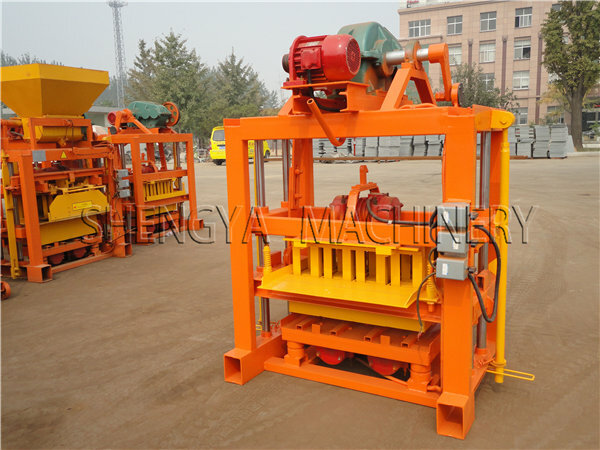 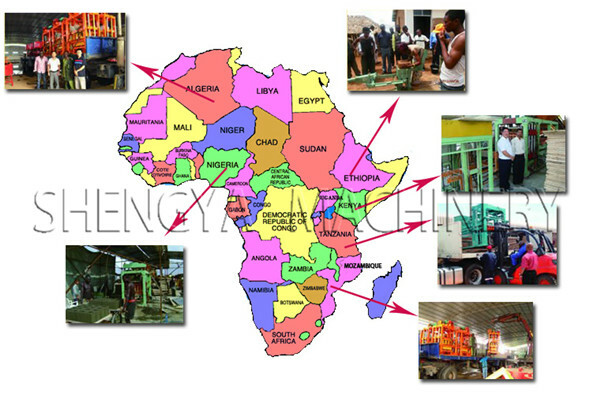 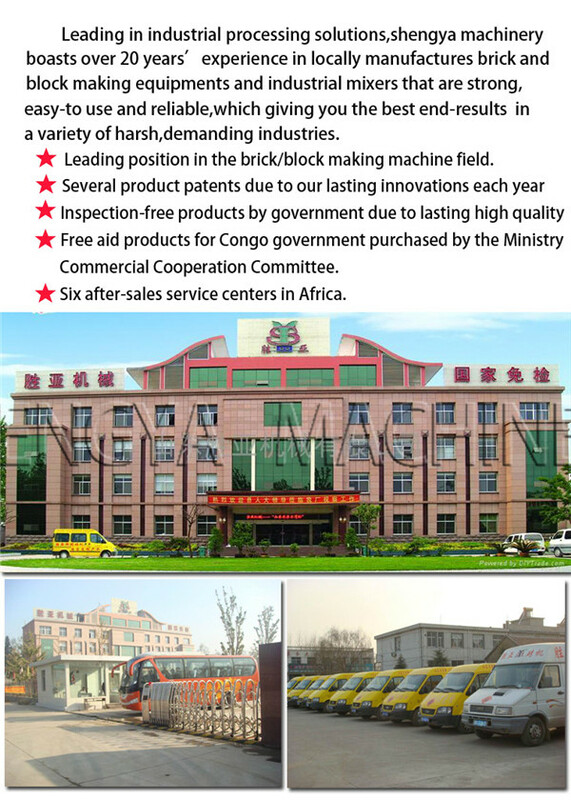 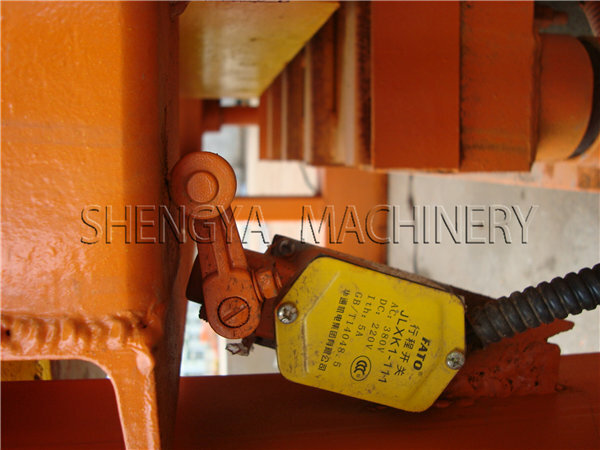 The aircraft is very useful,it not only can produce concrete build but also use the coal gangue, coal ash, slag, ceramic clay, gypsum and other industrial waste, there are production of various types of load-bearing and non-load-bearing blocks.